RE/MAX Southern Shores, the Grand Strand's top producing real estate brokerage for the last six years, names Renny Diedrich as Broker-in-Charge. Diedrich has been a broker and Director of Agent Enlightenment for RE/MAX Southern Shores since January 2014 and was recently sworn in as the President-Elect for the Coastal Carolinas Association of REALTORSⓇ for 2019. A broker-in-charge is responsible for supervising all licensees that are licensed under him or her, reviewing all listing and sales contracts, working closely with agents, overseeing all agent activities, maintaining trust account, and maintaining compliance with LLR; just to name a few. Diedrich, a graduate from the University of Wisconsin-Milwaukee, received her real estate license in 1998 and has been a broker since January 2002. She is a Certified Real Estate Broker Manager and holds a Short Sales and Foreclosure Resource certification, or SFRⓇ. She has been honored as a REALTORSⓇ of Northeast WI Excellence in Professionalism Award Recipient in 2010, Wisconsin REALTORSⓇ Association Distinguished Service Award Recipient in 2013, and NAR Wisconsin REALTOR of the Year in 2013. Diedrich currently serves on the SCR Board of Directors, CCAR Board of Directors, SCR Forms Committee, SCR Professional Standards, and is a SCR Grievance Committee Chairperson. RE/MAX Southern Shores, the Grand Strand's top producing real estate brokerage for the last six years, recognizes Mandy Dunlap on her achievement of 20 years at RE/MAX Southern Shores. The Pittsburgh, Pa. native graduated from Duquesne University with a Bachelor of Science in French. She then made the move to the Grand Strand and received her Master’s in Education at Coastal Carolina University. Dunlap taught French for 12 years at North Myrtle Beach High School, where she met her husband Harold, the football coach and athletic director. Dunlap began her real estate career in 1997 and has loved it ever since. She finds fulfillment in helping her clients achieve their goal of buying and selling their homes and properties with an emphasis on consistent communication, professionalism and outstanding service. Her current business consists of 95 percent repeat clients and referrals. Dunlap has been recognized for a long list of achievements over the years. 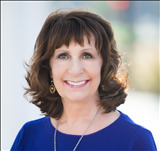 She has been a Top 10 RE/MAX Agent in the Carolinas, RE/MAX Southern Shores #1 Sales Agent for multiple years, inducted into the RE/MAX Hall of Fame, and honored with the RE/MAX Lifetime Achievement award. RE/MAX Southern Shores, the Grand Strand's top producing real estate brokerage for the last six years, congratulates Dona Lee and Janice Martin for their recent induction into the RE/MAX Hall of Fame. This coveted award honors the exclusive group of top producers who have achieved more than $1 million in gross commission earnings during their career with RE/MAX. Less than 23 percent of all active RE/MAX agents have earned this prestigious award. Dona Lee, ABR, CRS, GRI is a licensed broker and Realtor in both North and South Carolina. She began her real estate career in Myrtle Beach in 1985 and has been with RE/MAX Southern Shores since 2011. In 2016, she was given the Realtor Image Award by her peers and has consistently been a member of the RE/MAX 100% Club. She loves living on the Grand Strand and is very active in the community as a member of the Keep Horry County Beautiful Committee, CCAR Hospitality and Community Outreach, and Deacon at First Presbyterian Church, just to name a few. Janice Martin has been serving her community as a RE/MAX Southern Shores agent for more than nine years and has extensive experience in selling and listing condos and homes in both North and South Carolina. Among Martin’s list of achievements, she has earned the RE/MAX 100% Club for five straight years. Martin actively supports St. Jude’s Hospital, Children’s Miracle Network Hospitals, and Susan G. Komen. RE/MAX Southern Shores, the Grand Strand's top producing real estate brokerage for the last six years, proudly supports the Children’s Miracle Network Hospitals through awareness, donations and participation. Each RE/MAX agent donates a portion of every sales transaction to CMN. August is known as the ‘Month of Miracles,’ when all RE/MAX affiliates strongly promote and fundraise. This year, RE/MAX Southern Shores raised over 3,551 boxes of crayons that will go to McLeod Health in Florence, S.C. – the local CMN hospital. Real estate agents are competitive by nature, which led to RE/MAX Southern Shores hosting a Crayon Challenge that had each office competing to win the coveted title of raising the most crayons. The goal was just 500 boxes of crayons, which was not only met, but crushed by over seven times the amount. Along with the Crayon Challenge, RE/MAX Southern Shores teamed up with local restaurant Mojito’s Bar and Grill in Myrtle Beach for a Tapas Night fundraiser. A portion of the sales from the event went to CMN. In addition, the brokerage received numerous donations from theater goers throughout the month of August during the showing of ‘Dirty Rotten Scoundrels’ at the Theatre of the Republic in Conway. These events raised more than $400. ﻿RE/MAX Southern Shores, the Grand Strand's top producing real estate brokerage for the last six years, recognizes Paige Bird for making the Top 100 list for residential real estate sales and Richard Singleton for making the Top 50 list for commercial real estate sales. The latest Top 100 Residential and Top 50 Commercial rankings among RE/MAX agents showcase the real estate professionals that are leading the network based on overall sales and commissions. RE/MAX Southern Shores agent, Paige Bird, ranks number 76 on the Top 100 United States Individuals Residential Commissions list for January – April 2018. RE/MAX Southern Shores Commercial Division agent and director, Richard Singleton, holds the number 45 spot on the Top 50 United States Individuals Commercial Commissions list for January – April 2018. Paige Bird, ABR, CRSP, e-PRO, MBA is a licensed broker and REALTOR® in South Carolina. Bird began her real estate career in 2004 and has excelled at her craft ever since. She has received the RE/MAX Lifetime Achievement Award, Titan Club Award, Diamond Club Award, Chairman Award and has been inducted into the RE/MAX Hall of Fame. Bird has also been named South Carolina’s number one RE/MAX agent five separate times (2010, 2011, 2014, 2015, 2016). Richard Singleton brings over two decades of commercial leasing and sales experience to the RE/MAX Southern Shores team. He has been named ‘Commercial Realtor of the Year’ every year since 2014. Singleton offers a wide range of commercial real estate services including sales, leasing, property management, site selection, investment property analysis, asset evaluation and cash flow analysis. In addition to dominating the commercial real estate sector on the Grand Strand, Singleton has served as the Myrtle Beach Area Chamber of Commerce ­Board of Directors and currently serves on the board of the Myrtle Beach Regional Economic Development Corporation, the Grand Strand Water and Sewer Authority Board and the Board of Visitors of the Wall School of Business at Coastal Carolina University. RE/MAX Southern Shores, the Grand Strand's top producing real estate brokerage for the last six years, congratulates Bruce Turman on his Certified Residential Specialist (CRS) Designation. The CRS Designation is described by the Council of Residential Specialists as: "The highest Designation awarded to sales associates in the residential sales field. The CRS Designation recognizes professional accomplishments in both experience and education." Agents can maximize their potential by earning the CRS® Designation and joining the organization that has served top-producing residential sales agents since 1977. The more than 35,000 CRS® designees benefit from nationwide referral opportunities, a professional image that attracts customers, and sales and marketing support. The CRS® designation is awarded to experienced REALTORS® that complete advanced training in listing and selling and meet rigorous production requirements. Turman adds CRS to his REALTORÒ and Accredited Buyer’s Representative (ABR) designations. He’s been in real estate since 2003 and prior to that, he spent 22 years in the automotive industry. Before making his way to RE/MAX Southern Shores, Turman was an agent at Weichert Realtors® and was the Top Producer in 2005. On average, a CRS designee handles more annual transactions, has more gross sales, and has a higher annual income. For more information about the CRS Designation, visit CRS.com. RE/MAX Southern Shores, the Grand Strand's top producing real estate brokerage for the last six years, welcomes Margaret Hoynes as its newest marketing director to help the company continue its growth and success through strategic campaigns, multi-media targeting and community involvement. Hoynes is no stranger to the Myrtle Beach area. She previously was the public relations and social media account executive at The Brandon Agency, where she managed media relations and social media platforms, as well as created content and strategic marketing campaigns for over 20 clients from a variety of industries. The University of South Carolina alumna has held previous positions at Garden City Realty and The Carolina Opry. "We are excited to have Margaret become a part of our RE/MAX Southern Shores family and already know she will fit right in," said Mandy Fulford, CEO of RE/MAX Southern Shores. "She brings a lot of great ideas and marketing expertise to the table and we look forward to seeing continued success for our company and growing agent roster." Hoynes will spearhead marketing initiatives that include, but are not limited to, social media management, public relations, email marketing, community involvement and sponsorships, client appreciation events, and assist with overall strategic planning.